Washington Post columnist, influential journalist & author of The Upside of Down. “You’re not a failure. You’re someone who has failed” . . . just like everyone else who ever lived on the planet, from Alexander the Great to Abraham Lincoln. Failure is what makes success possible. It’s how we learn what doesn’t work–and therefore how we learn what does. That’s the message of this talk by noted blogger and author, Megan McArdle. Drawing on interviews, academic research, and her own experience with catastrophic life events, she'll explore why failure is an inevitable–and even beneficial–part of life. And how to make failure a learning experience instead of a catastrophe. Megan McArdle is a Washington, D.C.-based blogger and journalist. She is a Washington Post columnist covering economics, finance and government policy from a right-libertarian or classical liberal perspective. Previously she wrote for Bloomberg View. She began her writing career with a blog, “Live From The WTC,” started in November 2001. 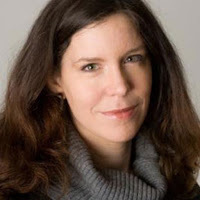 In 2003 she was hired by The Economist to write for their website, and since then she has worked full-time as a journalist and editor, both online and in print. Publications she has worked for include The Economist, The Atlantic, and Newsweek/The Daily Beast. She was a Bernard L. Schwartz fellow at The New America Foundation. She has also had book reviews and opinion pieces published in the New York Post, The New York Sun, Reason, The Guardian and Salon.com. 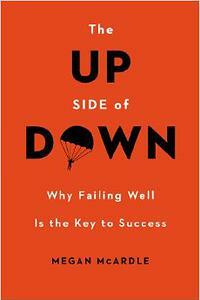 Her latest book is The Up Side of Down: Why Failing Well Is the Key to Success.